While he may be out for the season, the 2015 all-star sneaker for Kobe Bryant in the Nike Kobe X ‘Zoom City’ is available at the retailers listed below. A feature that you might not notice in the images is the fact that the shiny material on the tongue and heel shifts color in a holographic manner. Check out the true inspiration for this colorway at the official look of the entire Nike Basketball ‘Zoom City’ pack. 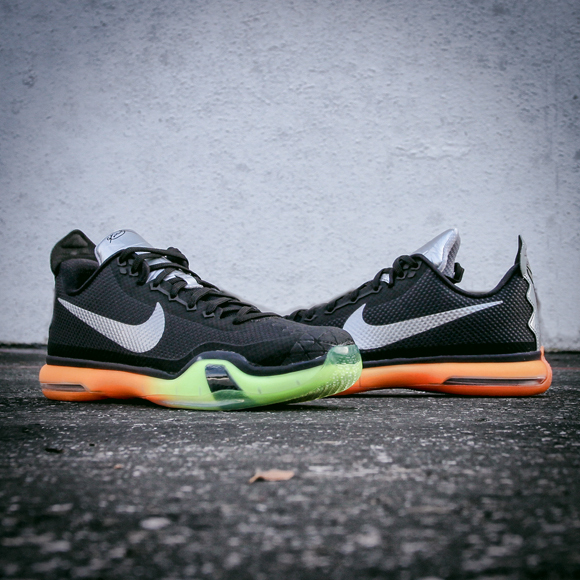 If you were interested in how these perform, check out our performance review on the Kobe 10. Nike Store | Foot Locker | Champs | Eastbay | Size? So its $200 not $180? These will look so nice in the summer! Just Just a update. The Kobe X(asg) KD7(asg) UA Curry1 (both colorways) are still available.